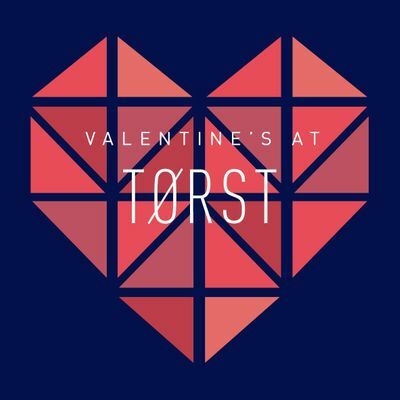 Come celebrate Valentine's Day in style this year at Tørst! We are very excited to announce that we will be hosting a special tasting menu here in our dining room at Tørst this Valentine's Day. The tasting will consist of six courses, as well as an optional beverage pairing. We will be facilitating two different seating times on the evening of the 14th; 6:30 and 9:30. We must ask you to be punctual with your arrival time, as the food will begin to be plated at both 6:30 and 9:30 sharp. Tickets for both times are listed below along with the optional beverage pairing. If a member of your party has any dietary restrictions or food allergies please let us know when you are purchasing your tickets to give us ample time to accommodate them. We look forward to having you all dine with us on the 14th! See you soon!